JAGADGURU SHRI KRIPALUJI MAHARAJ'S DIVINE PHILOSOPHY BLOG. 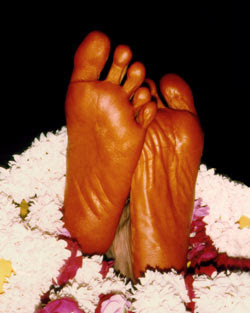 This blog is dedicated to the Lotus Feet of my Spiritual Master - Jagadguru Shri Kripaluji Maharaj, who is the Descension of the Bliss of Divine Love, who is illuminating the entire world with light of His Vedic and Yogic knowledge of our Scriptures. Jai Shree Radhey!!! विश्वास बनाये रखो कि तुम अकेले नहीं हो!! Practise of Devotion involves replacing Desires for the world with Desires for God. हरि- गुरु चरणानुरागी भक्तवृन्द ! 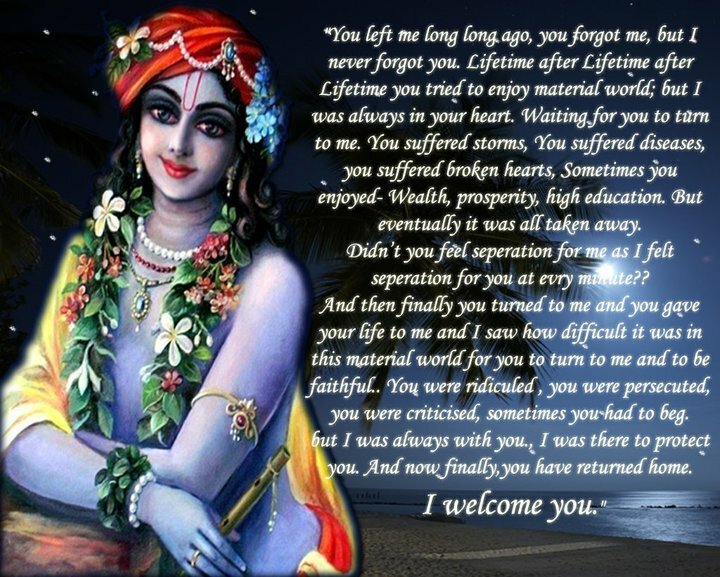 DIVINE SPEECH AT PREM MANDIR,VRINDAVAN BY JAGADGURU SHRI KRIPALUJI MAHAPRABHU. DOHA FROM RADHA GOVIND GEET..............BY SHRI MAHARAJJI. 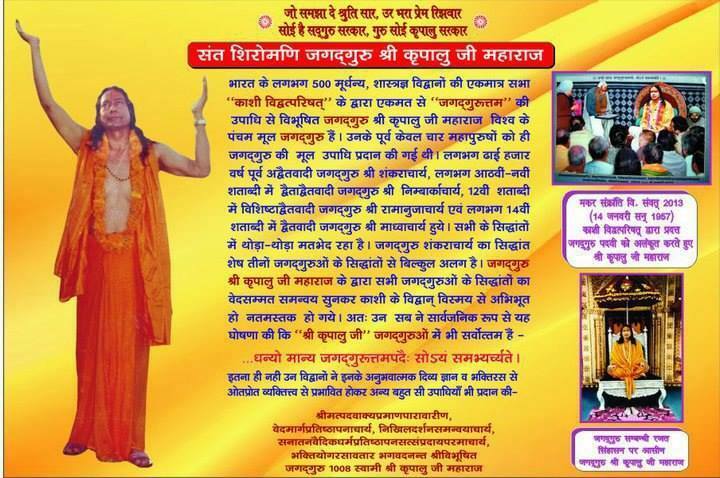 JAGADGURU SHRI KRIPALUJI MAHARAJ KI JAI HO. WELCOME ALL DEAR FRIENDS TO "JAGADGURU SHRI KRIPALUJI MAHAPRABHU'S DIVINE BLOG".JAGADGURU SHRI KRIPALUJI MAHARAJ KE SHRI CHARNO MEIN KOTI-KOTI NAMAN EVAM ABHIVANDAN. COPYRIGHT@RADHAGOVIND SAMITI,GOLOK DHAM,NEW DELHI,ALL RIGHTS RESERVED.BLOG'S POST NOT TO BE COPIED.. Simple theme. Theme images by kellykellykelly. Powered by Blogger.